Are JUCOs the Cure for an Ailing Virginia Tech Defense? 2,200 word, 10-play film review and analysis of what the three Hokies JUCO defensive signees bring to the table. Much of the talk this spring will be focused on how Virginia Tech can make its leaky defense at least serviceable this season. Bud Foster's defense is months removed from its worst campaign, by far, since 2003. On top of that, the loss of stalwart defensive tackle Ricky Walker leaves the Hokies without a bell cow in the trenches. Personnel is a huge challenge to address in a single recruiting cycle. There are limited scholarships and pool of ready-to-play prospects. Moreover, the Hokies missed out on several top defensive tackle and cornerback targets. As a result, Virginia Tech turned to the junior college ranks to identify physically mature players who can upgrade several positions of need. 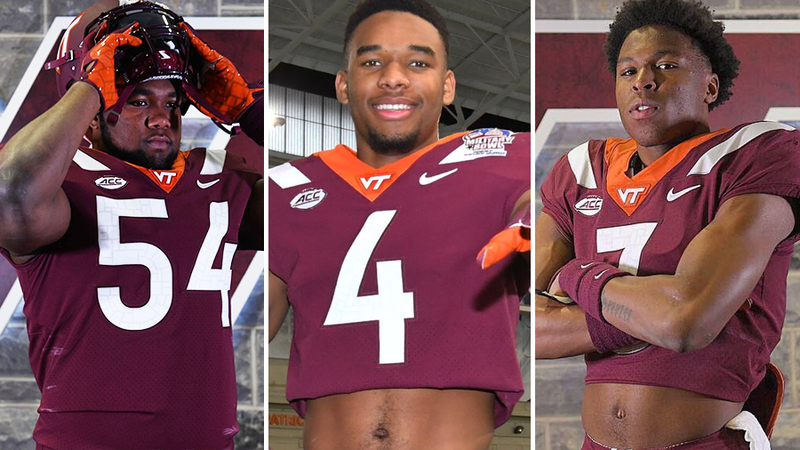 Thus far, the Hokies signed one JUCO defender at each level of the defense: cornerback Brion Murray, outside linebacker Amaré Barno, and defensive tackle DaShawn Crawford. From time to time articles may be published exclusively for members of The Key Players Club. Unfortunately this has become necessary in order to bring attention to The Key Players Club and increase the value and incentive for joining. Ultimately it will enable The Key Play to continue to publish its first-rate content, stay online, and maintain top-flight server speeds.